Description Lucifer invented the fly club game and you must collect bats, coins, stars and weapons while you fly trough hell. 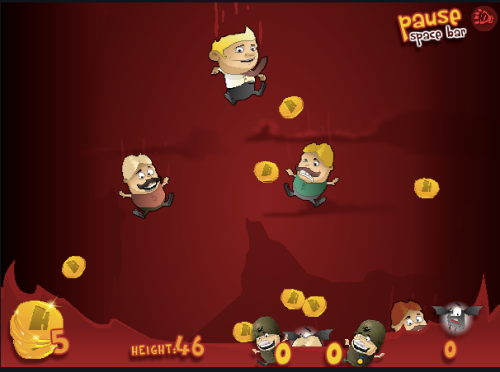 Bats are good for bullet time, coins for future upgrades and the stars activate the weapons to kill opponents. That\'s your mission, to kill other sinners as faster as you can. Be careful because enemies can steal your money and bats.